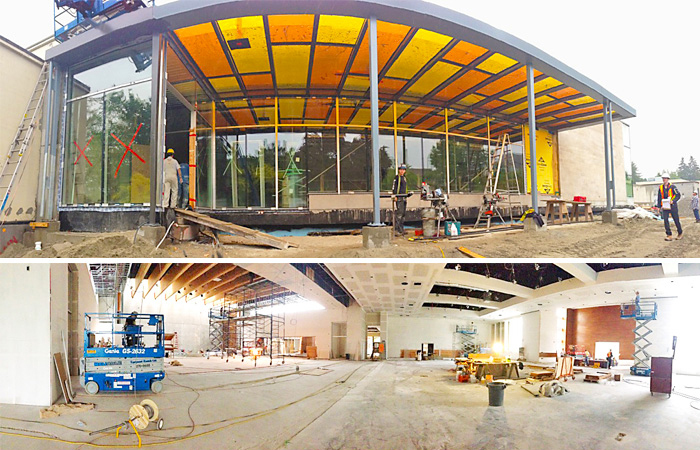 Located at Oak Street and 28th Avenue in Vancouver, Congregation Beth Israel is undergoing an extensive transformation and expansion of the existing synagogue and site. The approximately 75,000 sf project includes a new 500-seat sanctuary, with the former sanctuary being transformed into a stunning social space. Other programs include cultural display, chapel, meeting rooms, classrooms, administrative areas, and outdoor gathering areas. The new entry approach features a coloured glass canopy with amber and golden hues. Completion is scheduled in September 2014. 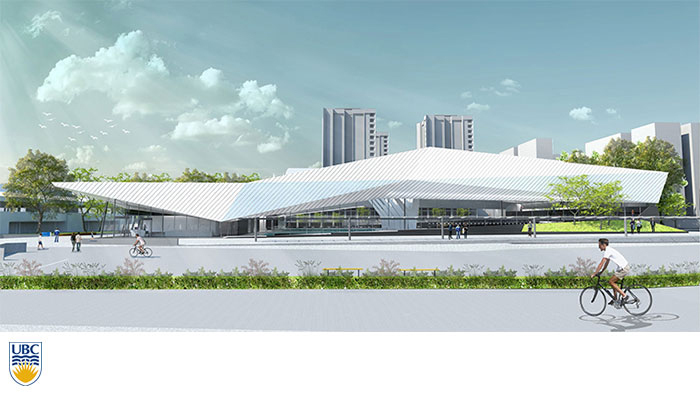 The University of British Columbia has announced formal approval for its new $39.9-million Aquatic Centre for students, community and high-performance sport. The design is a collaboration of MJMA (MacLennan Jaunkalns Miller Architects) and Acton Ostry Architects. The new centre will house an Olympic-sized competition pool, 25 metre lap pool, a warm-water family pool with a lazy river, and a large hot tub. The facility will offer a mix of student and community programs, high performance training and competition, student clubs, lessons and drop-in use. The project is being designed to a LEED Gold target and is scheduled for completion in September 2016. With Spring having finally sprung, we thought it would be interesting to document a ‘before’ and ‘after’ comparison of the new social lounge addition to Har-El Synagogue. Completed in 1998, the synagogue originally featured an outdoor courtyard terrace with a spectacular view to the surrounding lush creek and forest setting. Well, after 16 years the setting is even more lush and just as spectacular when viewed from the stunning new light-filled and jewel-like social lounge nestled up against the Jerusalem Stone-clad wall of the temple. Acton Ostry presented the proposed Kingsway|Broadway mixed-use residential development to the Urban Design Panel on April 23rd. The colourful transit-oriented project generated colourful comments on its way to receiving unanimous support from the Panel. 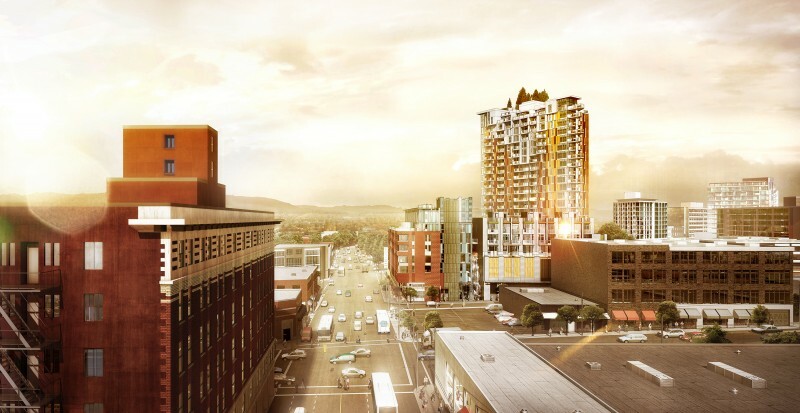 The project expresses the vibrancy of the neighbourhood through a bricolage approach inspired by local street photography, West Coast art, and the essence of hill towns. 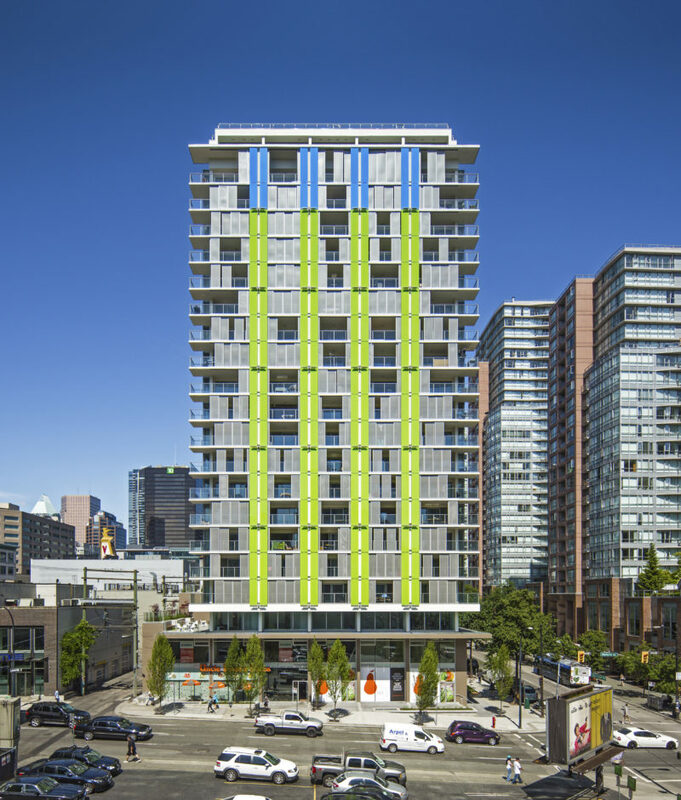 A tree-topped crown marks Mount Pleasant in Vancouver’s Greenest City skyline. 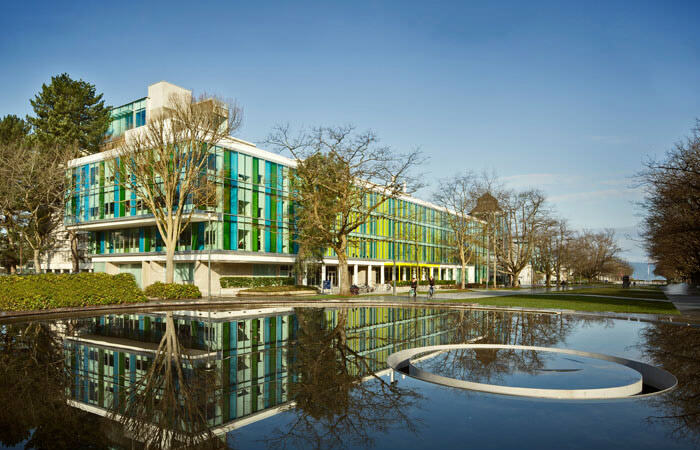 The UBC Sauder School of Business was recently named one of the “50 Most Impressive Environmentally Friendly University Buildings” by BestMastersDegrees.com. The facilities were selected for their eco-friendly features and qualities of sustainability. 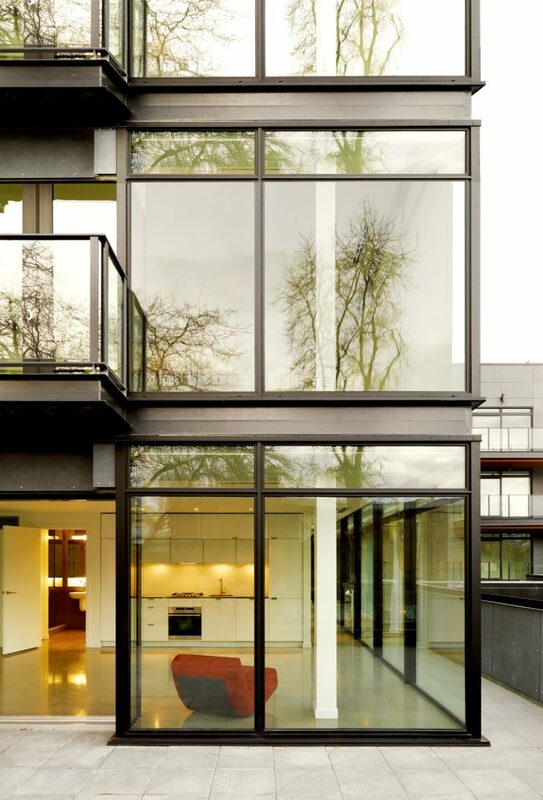 Each of the facilities has earned considerable industry honours for excellence in architectural and green design. “These universities are showing themselves to be leaders when it comes to beauty and sustainability on campus,” said editor Marianna Chara.